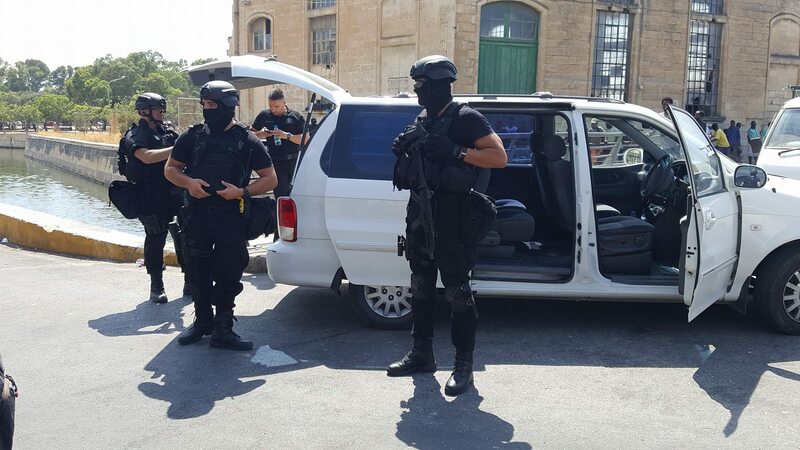 The Maltese town of Marsa has always been a hotbed for criminal activities carried out by locals and foreigners alike. The problem affecting the area is twofold. On one side, the presence of an open centre for immigrants has turned the neighbourhood into a black labour market, where on a daily basis Maltese building contractors hire the immigrants to work illegally, while authorities turn a blind eye on it. On the other, the high presence of young unemployed males and of a smaller number of females, has led to the proliferation of criminal activities, such as the sales of illegal drugs and prostitution. The immigrants, the majority of whom hail from Africa and with a small percentage from middle eastern countries, can be seen squandering around at any time of the day and night, often under the effect of alcohol. 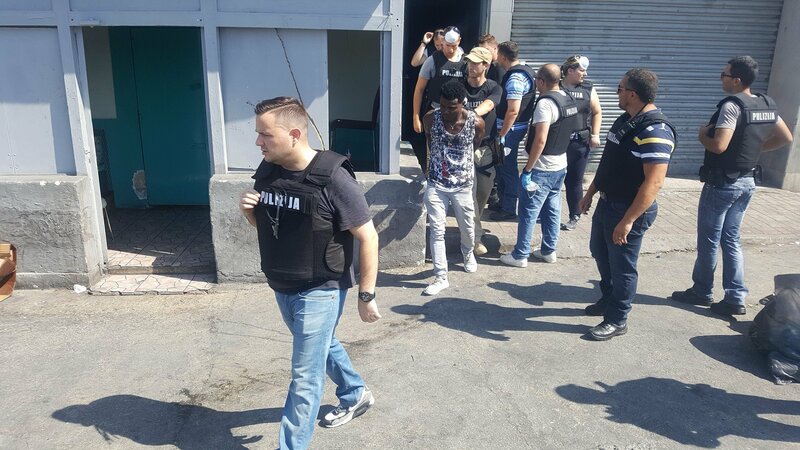 Residents have in more than one occasion complained about the security situation in the area, but their pleas seem to have fallen on deaf years, and the situation is worsening by the day, with a spike in crimes committed by African nationals this Summer. In August only, in just 24 hours, a police patrol was attacked and the paramedics who were called on site to assist cyclists injured in a crash, found themselves surrounded by a crowd of Africans, hurling insults and threatening a female nurse. We have spoken with Steve and Bradley (the real names have been changed to protect their identity), two local law enforcement veterans with over two decades of experience in planning and executing high risk operations both in Malta and overseas, to better understand what is going on in the area and why policing seems to be ineffective. 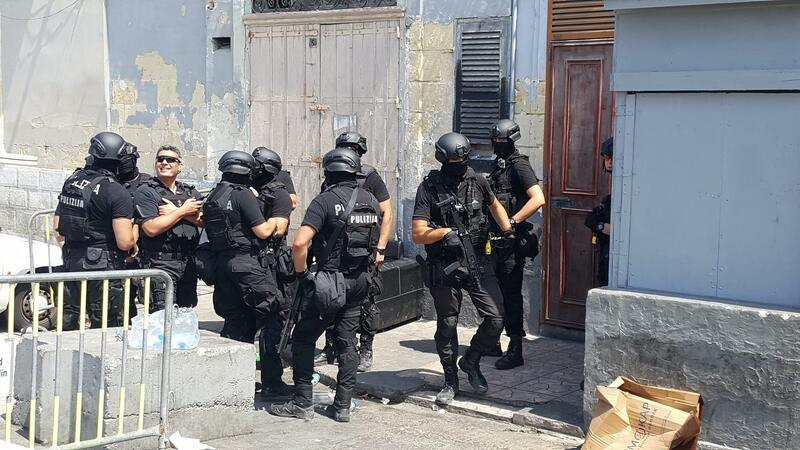 Are the authorities losing control of Marsa? Steve: Just like any other place in the world that has a high concentration of a particular activity within a secluded area, Marsa is no different. Like you said, this place was always a hotbed for criminal activity. And the surroundings attract such illicit activity. Run down buildings and deserted streets provide the right scenario. The foreigners who live at the Marsa Open Centre are the only residents in the area. So it is only natural to have crimes in the area involving foreign nationals. These people who have little or no income to sustain themselves, gather there to loiter or perhaps gain a day’s rations. This is the right setup for criminality to prosper. Just like the old saying goes “to beg, steal or borrow”. This recent type of behaviour by the foreign nationals could be the result of several factors. One is the different approach towards authority. What might seem as a culture shock to one person might be perfect daily behaviour for another. Another thing could be that these people are copying behaviour that is emerging in other countries in order to transmit their anger, frustration or thwarted ideology. The authorities have to study these incidents in depth to find the causes and motivators for such behaviour. Only then will any attempt to control any area and reduce such behaviour leave positive results. 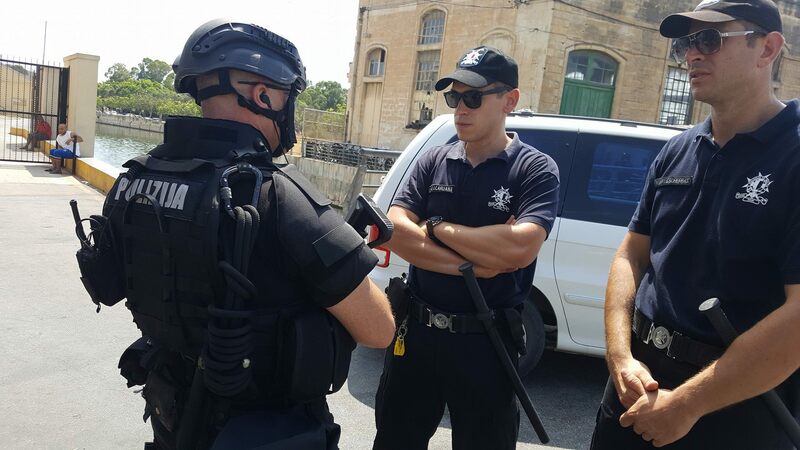 Bradley: Marsa is a port town and therefore more prone to illicit activity such as drug trafficking and prostitution however I believe that the opening of a refugee centre in this area has sparked more violence. In the case of the incident involving the paramedics, the Rapid Intervention Unit (RIU) took forty minutes to intervene. How can this be possible? Steve: This could be the result of various factors such as human resource or logistical inadequacy where not enough personnel are deployed on the streets. The most possible reason is that the force on the streets is overworked and stretched to the limit, if not beyond. This might even have a de-motivational effect on the field officers themselves. It is the time to remodel and strengthen the police force’s front line to meet the needs of tomorrow. Bradley: This could be attributed to a number of reasons. RIU units might be overstretched in which case more vehicles and personnel would be needed. The force might also be demoralised due to various reasons. However I do believe that the main attributing factor here is a weak judicial system. The cops know that in most cases, criminals will get away with a slap on the wrist. Lack of proper and regular training might also be a cause. Force members might be lacking training that puts them under physical and psychological stress. Training does not only give individual the right skills but also build one’s self confidence. On the other hand, when speaking with an RIU sergeant, he told me that it has become a habit for district police to call RIU for support even on minor incidents such as domestic violence. And this is because RIU personnel receive an extra allowance, while the district police do not. Do you think that some police officers are starting to be afraid of intervening in specific areas? Steve: This could also be the case. Not afraid to perform the job but rather afraid of the bureaucratic consequences. This coupled with lack of knowledge and continuous training. Bradley: Yes, for reasons I gave in points in the previous answer. Is there a risk that immigrants can turn some Maltese towns into no-go areas, just like it is already happening in Belgium, France and Sweden? Steve: Malta is no different from other countries. The lack of legal action against any sort of illegality in a concentrated form can eventually transform any neighbourhood into a no-go area. The prevention to this is the enforcement of the rule of law, that is, the principle that all people are subject to and accountable to law that is fairly applied to one and all. Bradley: Yes. Inevitably, the influx of expats on the island is bringing with it a new reality. As small groups of expats link up with their peers, they start creating small communities, opening small businesses and getting together for religious services or cultural and social gatherings. This new reality is slowly but steadily transforming areas of the island into ghettos, run by small ethnic minorities and criminal gangs. Most European cities are already experiencing such problems. 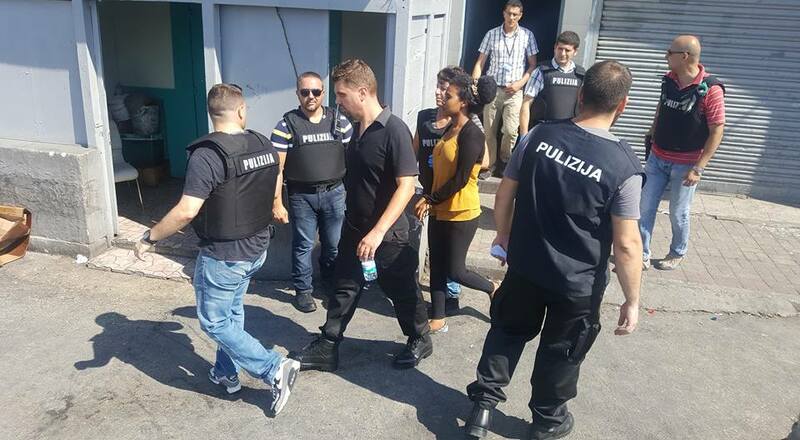 Not so long ago we witnessed a group of Somalis selling cocaine in the streets of Paceville, while a dozen or so police officers were standing idly less than 50 metres away. How is it possible that we realized what was going on, while those officers were seemingly unaware of the situation? Steve: Drug dealing in the streets is not something that the untrained eye can “see” so easily. Every law enforcement agency is as good as its officers. Knowledge and training are the tools to sharpen those skills. Bradley: Again, I believe this is mostly due to the fact that cops know that in most cases, criminals will get away with a slap on the wrist. Immigration is changing the face of Malta, paving the way to the introduction of foreign organized crime and terrorism. Do you think that the law enforcement community are evolving in order to effectively protect the population from these emerging threats? Steve: One can never do enough. You are only as good as your next challenge. Having said that, the law enforcement community within the European Union, strives to protect its citizens. Bradley: I believe that to a certain extent, we do under estimate our secret service and the government’s awareness about a possible threat, however I do believe that there is a lot of space for improvement across the board. 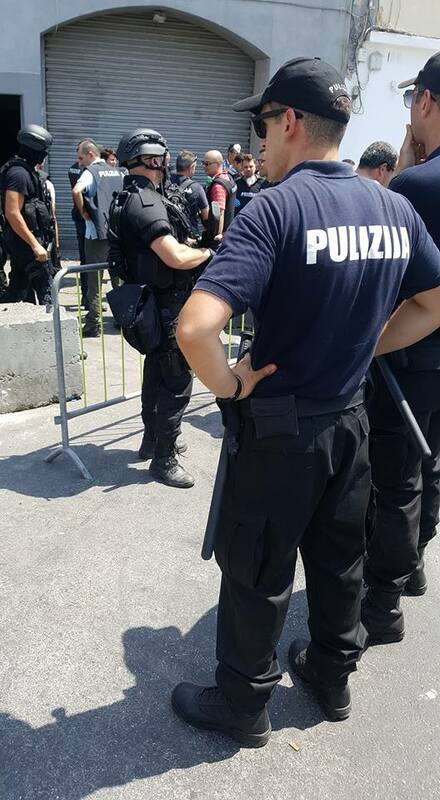 So far Maltese security forces do not possess the skills nor the equipment to handle a hostage situation and large scale exercises for first respondents rarely take place. Criminals predate on the most vulnerable members of the public, such as elders and women. As security consultants, what are the recommendations that you would give in order to mitigate the risk of becoming a victim? Steve: Vulnerable people have always been the target of criminal activities. However in the olden days there was a much stronger sense of community with people helping and protecting each other, whereas nowadays people are becoming more and more isolated within that same society. This modern lifestyle has given way to bad intentioned persons to take advantage of this ‘individuality’ for their illicit gains. What one needs to do is adapt towards a mentality endorsing prevention. This greatly reduces the risk of being “the next target”. People can embark on a prevention awareness program that involves doing minor adjustments to their daily routine. This will, in the long run, improve a person’s knowledge of oneself and his surroundings thus resulting in a safer environment. Bradley: Avoid being a target is rule number one. If you are weak, appear to be strong. If you live alone appear to have a busy household. Be observant in order to anticipate any possible threat. If you are in a confined public space, always look for an exit. Never go out without your mobile phone. Teach your kids on how to behave in different circumstances. I have an adorable eight year old son, loving and kind but he knows that not all human beings are kind. He already knows how to make a fire arm safe and how to react in an active shooter scenario, when and where to look for help. These are just a few tips as the list is endless.